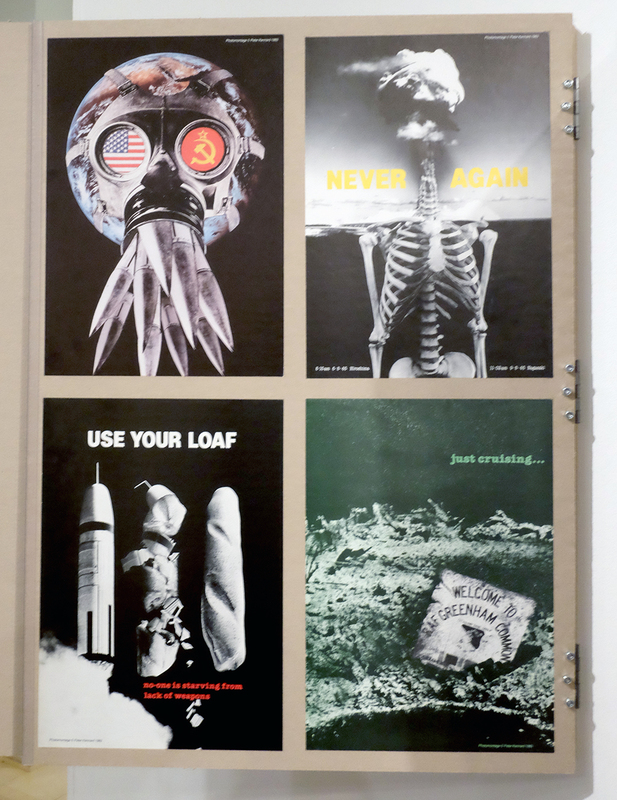 In my teens in the 1980s, as I was becoming politically aware and active, (going on CND demonstrations and reading radical publications), it is difficult for me not to be very familiar with the work of Peter Kennard. I think I must have held several of his images in my hands as placards and certainly stuck some of his photomontages on my bedroom wall torn from pages in lefty rags. 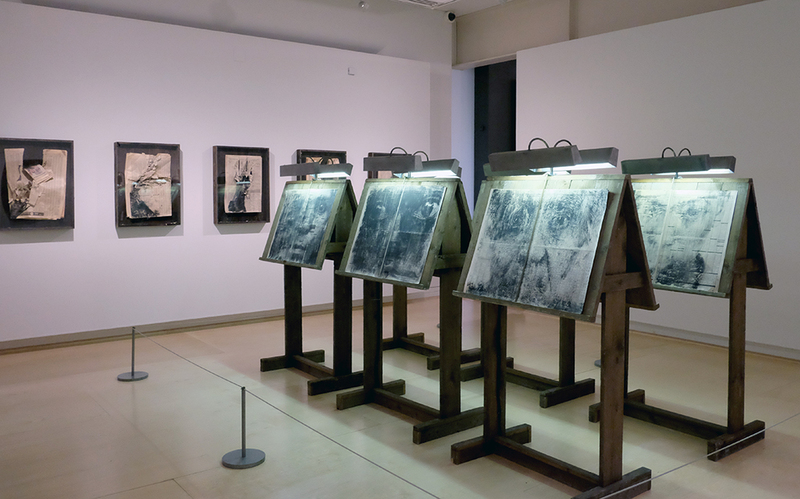 When I heard he was having a retrospective at the Imperial War Museum, titled Unofficial War Artist, I debated whether I should go or not, thinking that I knew what I would get and worried about it being an exercise in personal nostalgia. It wasn’t until I read Art-e-facts’ review of her several visits to the show that I decided to go, and without a shadow of a doubt it blew me away, (no pun intended). 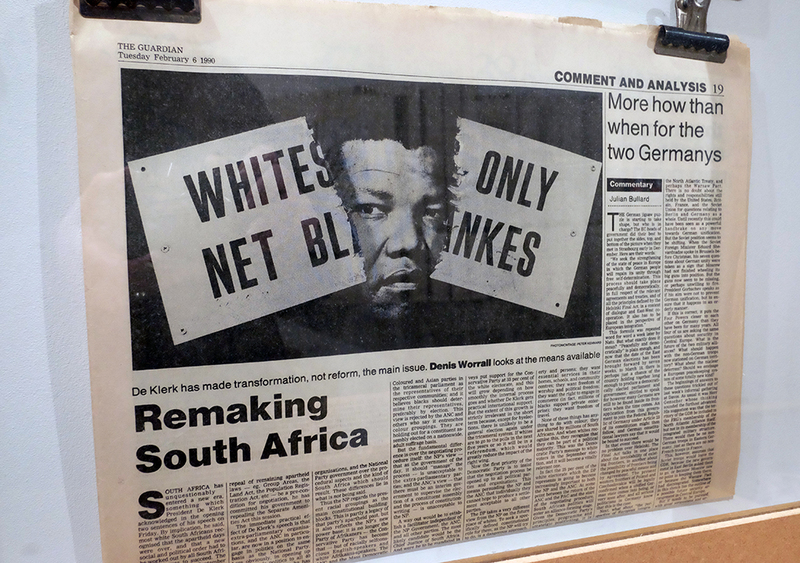 From the outset it was refreshing to see an exhibition with both process and application on show, as you can see below in the anti-apartheid image for The Guardian. It was equally good to see some sketchbook work that wasn’t ever applied. The skilfulness of Kennard’s photomontage is without question. There is an assured confidence and directness in his visual metaphors that makes them work with little-to-no text. 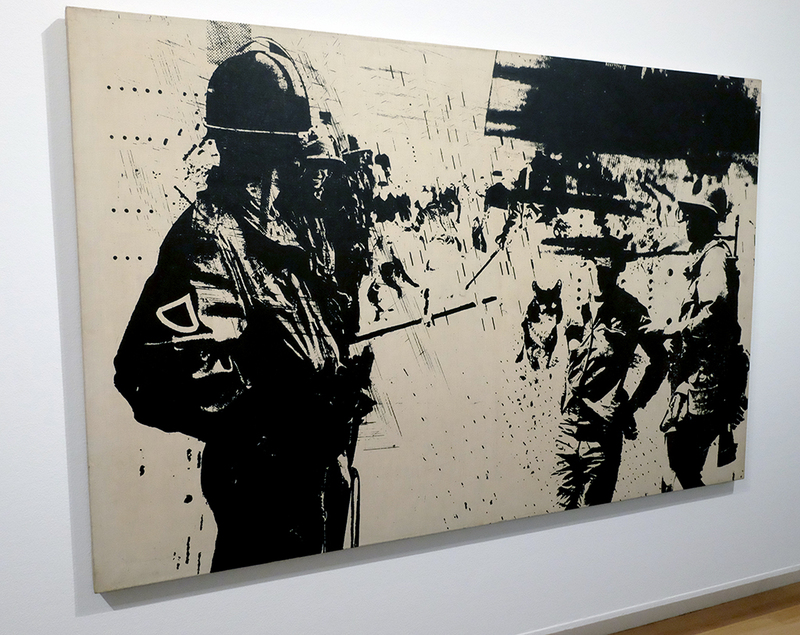 His use of imagery isn’t subtle, but then neither are the effects of war. 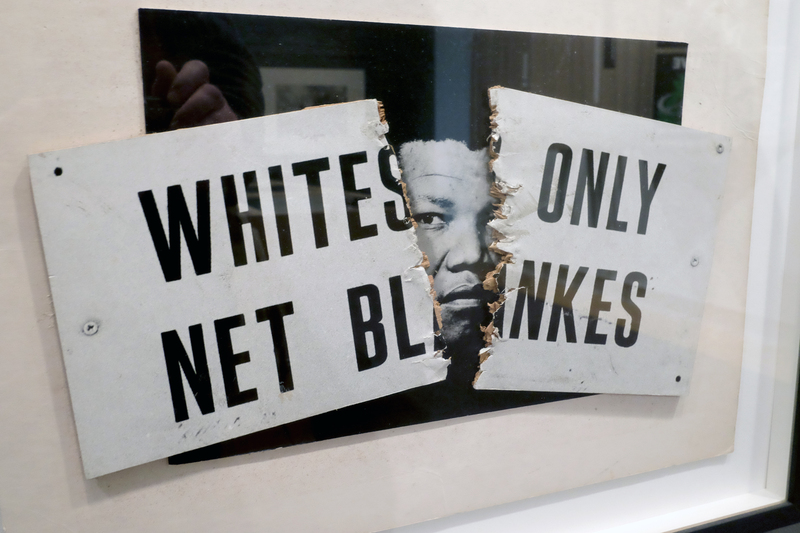 In that respect Kennard’s work creates a powerful message that hits its target again and again. Regardless of this skilfulness of technique, it is amazing that one man can find so many ways to keep attacking power-mongers’ lust for weaponry. For all of Kennard’s sheer determination we should have seen the back of nuclear weapons years ago, and it seems unfathomable to me that Jeremy Corbyn is criticised in 2015 for coming out saying he would not press the nuclear button, but I digress. Up until I saw the show, what I knew of Kennard’s output was largely confined to his ‘Thatcher’ period. 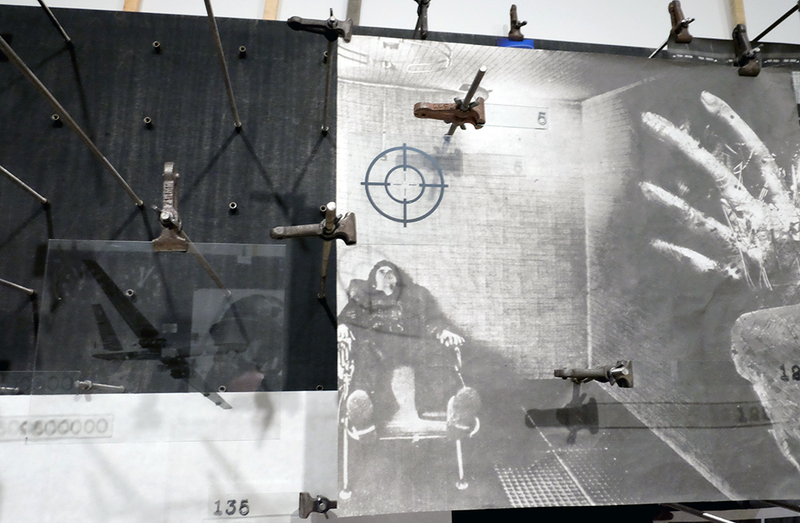 Before attending I considered what it is to be so defined by an era, just as John Heartfield was to the 1930s and Jamie Ried was to the mid-late 1970s. 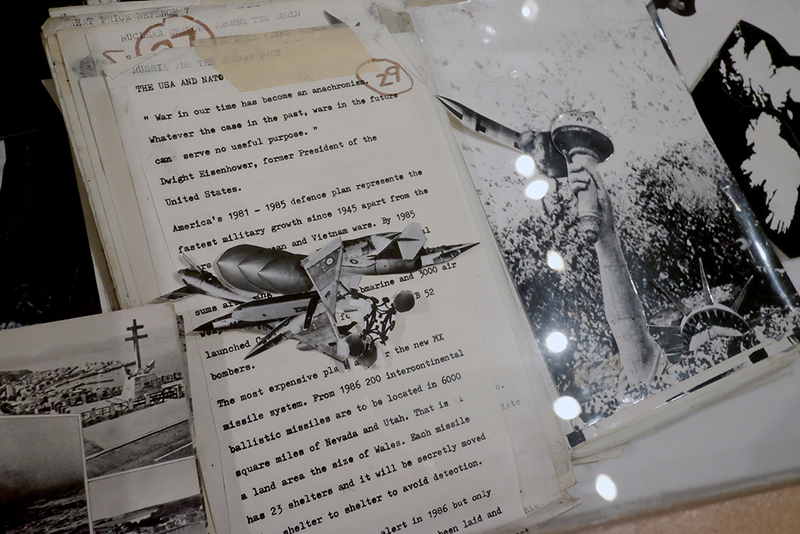 As the 80s moved to the 90s it isn’t surprising that Kennard became somewhat dejected, stating: “a mixture of personal experience, disillusion with organised politics and the use of the media of innumerable digital photomontages,” caused him to, “question the effectiveness of photomontage as a critical, social probe”, (exhibition panel.) Imagine coming to the realisation that such dedication of energy doesn’t appear to have actually won any battles and that the ‘opposition’ then adopt your mechanisms of protest for their own ends. 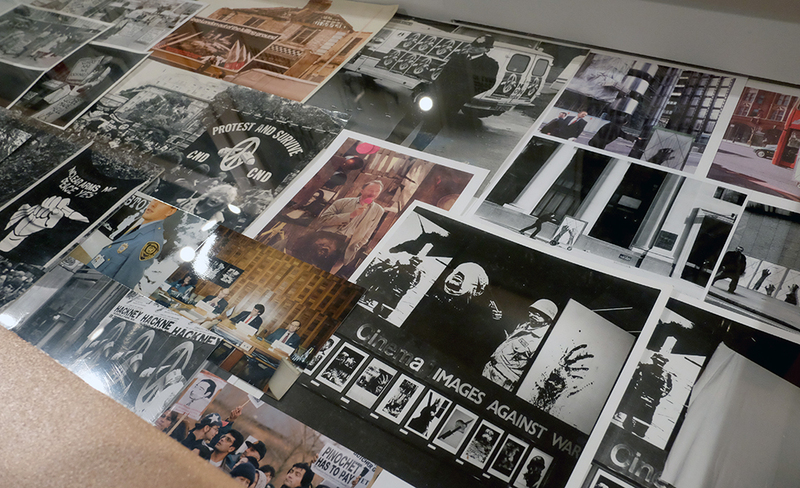 While you could call any faith in art being able to change the world naive, with Kennard you need to remember that he cut his political teeth on the student protests of the late 1960s, when a different world really did seem possible. Not knowing much of his work past the 1980s, (save for the infamous Blair Photo-op), it was what Kennard did following this period that really blew me away as he started making work that was even more powerful, direct, and particularly brutal. From the large eyes staring out at you from the Reading Room exhibit, and the hands clawing at newspaper columns, you sense humanity grasping and pleading for some sanity in a world full of marginalised desperate people. 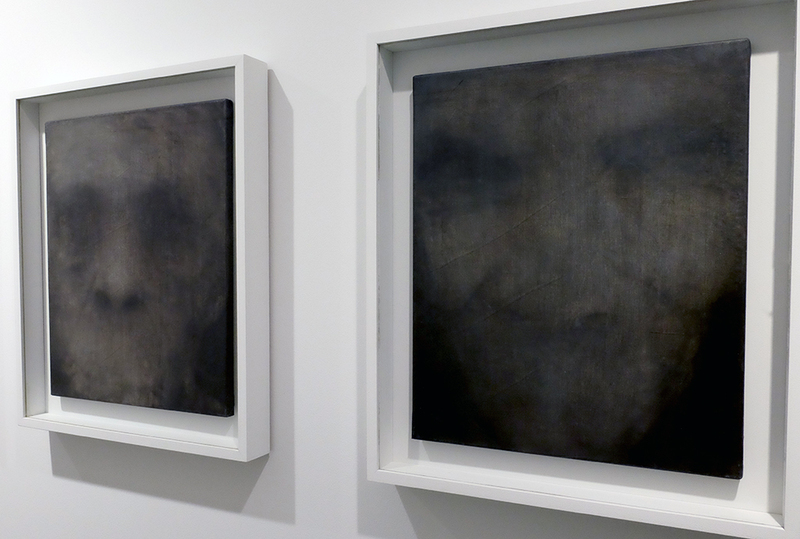 Then a corridor of paintings suduces you in with ghostly portraits that stop you in your tracks as their mouthless, thus voiceless, apparitions stare back at you. I was stunned into silence also by their power. 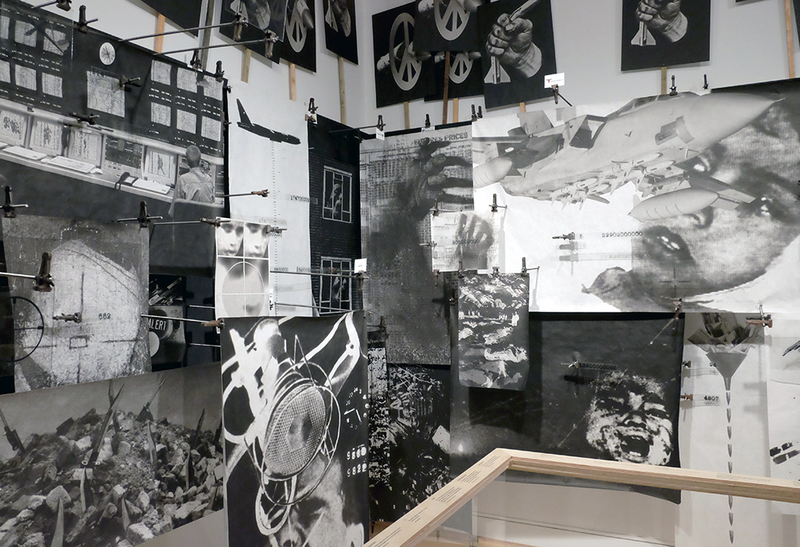 And all this before you enter the room with his most recent work, The Boardroom, an ongoing project of Kennard’s that revisits photomontage but in a 3D space. This room is not for the faint-hearted—the imagery is particularly brutal while equations and statistics about war, hunger and poverty adorn the handrails you just might need to cling to in order to steady yourself against the visual onslaught. No photograph can do justice to this room—it is truly powerful stuff. If you do not feel emotionally affected by its overload of the injustices of war then you either do not have a soul, or you are a government minister. The statistics displayed are as equally an important element of the work as the visuals are. 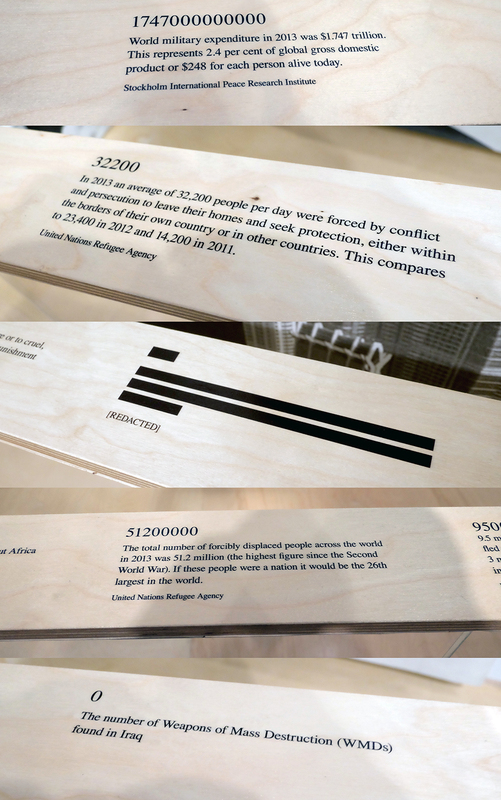 In the exhibition’s accompanying book, Kennard states: “I realise the seed for the idea…was actually planted a quarter of a century ago, … I made a speech at the UN to open my exhibition that began with a series of numbers I heard from Dr Hiroshi Nakajima, Director General of the World Health Organisation. I recounted in the speech how these numbers had been haunting me. For one billion dollars, he had said, or the cost of 20 modern military planes, the world could control illnesses that kill 11 million children every year in the developing world. 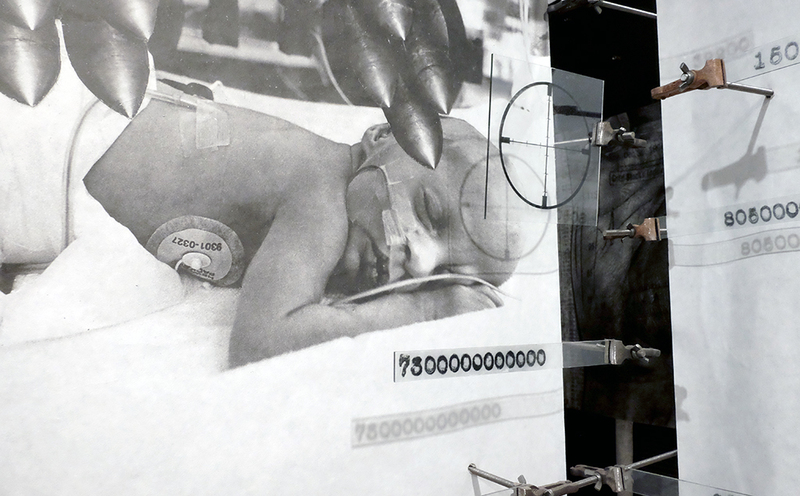 At that moment, I saw that the connection between children needlessly dying from illness and bloated military spending was concealed in our society; the numbers that are the foundation of our modern world”. (2015, Kennard, IWM.) That phrase is worth repeating as you look at the image below: the numbers are the foundation of the modern world. On leaving the exhibition and reflecting on the necessary brutality of The Boardroom, I thought of the bravery of the Imperial War Museum to commission this exhibition. It continues until May 2016, and I hope that when it is taken down, the museum consider making this last room a permanent exhibition in their collection. 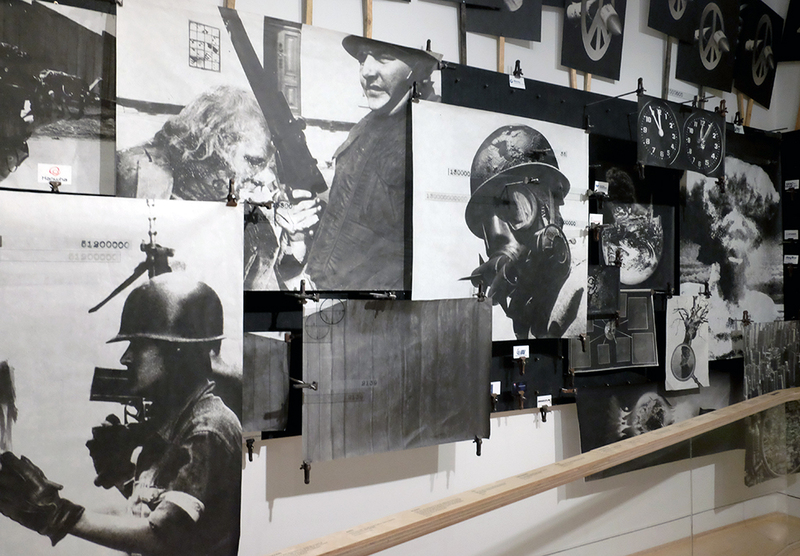 Peter Kennard: Unofficial War Artist is free: go see.